It’s pretty unbelievable but I’ve been a stay at home mom (SAHM) for almost 6 years now. It wasn’t a decision that came to me instinctively after my little girl’s arrival. I was afraid. I was scared. What if I couldn’t take it just staring at that angelic face and cleaning up the projectile vomit and poop all the time? So I told my hubby I’ll take my maternity leave to consider it. By the end of the first month, I’d decided I’ll take a year’s leave from work and see how it goes. And that leave just got extended year after year till I finally got down to resigning in February this year. There have been plenty of tips shared so far on this blog train, but since I’ve never really written in length about how I go about my life as a stay home mom, I decided that I’d come up with a SAHM survival guide. It turned out I had so much to share for one post, so I’ve decided to just publish the first instalment of the survival guide for this blog train, focusing on what else but cooking/ making meals! This probably tops the list for most newly minted SAHMs’ problems. Not many SAHMs I know could cook when they first started out but trust me, you’ll get there with practice. Remember, no one was born already a fabulous cook. That awesome cooking mama (or papa) you know probably had their fair share of burning minced garlic over the stove. If you don’t have your kids with you because they attend school, it’s probably quite easy to quickly prep meals while they are out of the house and not clinging onto your legs. But I’m assuming that you have them home with you most/all the time so here’s what I’d recommend. Have some basic soup base cooked and stored in portions (in the freezer) that you’d use for your family on standby. This is particularly useful for lunch for yourself and your kids. And if your kids aren’t eating solids yet, you know you don’t always need to eat sandwiches for lunch or order a takeout (erm, yes, I survived on sandwiches for quite a while initially!). You can read more tips about freezing stocks and the quantities over at my top 10 Kitchen tips post. And since we’re on soups, I’d tell you that sometimes, having a good soup at the end of the day works wonders on the mood for everyone in the family. It’s nutritious and it makes a meal with rice. 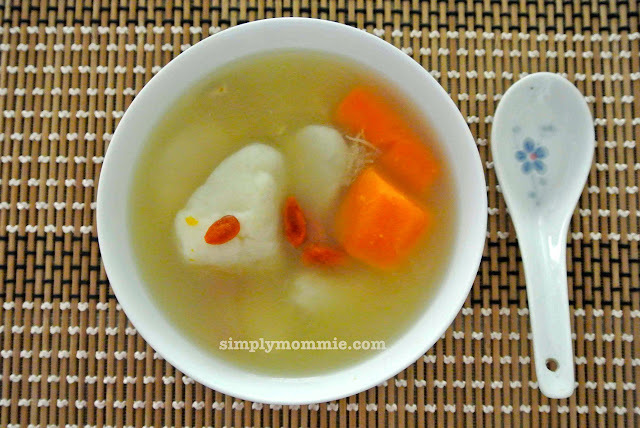 Check out my soup directory on the blog, complete with thumbnails and links for inspiration. There are currently 28 varieties there; I’m sure you’d find something that you can cook! No time to cook 3 dishes and 1 soup? C’mon, no one ever said that that was a requirement for being a SAHM. There will be days that you’re strapped for time cleaning poopy bums, changing bedsheets and nursing the baby round the clock, so on those days, cook simple, like a one-dish meal. 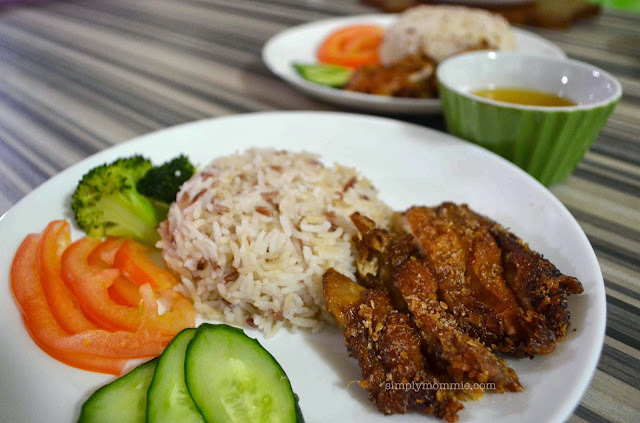 Check out my one-dish meal directory for ideas. Also, learn to plan meals carefully so that cooking of different dishes can be done simultaneously to save time. I share that here. If all that fails, having a takeout now and then for your sanity, especially in the initial few months is perfectly fine! Don’t beat yourself up over it! Invest in a handy kitchen appliance like an Airfryer. Seriously, I use it almost every day. Life just ain’t the same with it. I don’t even use my oven as often nowadays. It’s great for all sorts of things, not just for frying, so don’t be deceived by the name. I use it to make super crunchy toasted bread for breakfast and spread kaya on it and imagine I’m at Ya Kun, garlic bread sticks, grilled salmon, cod bites in place of commercial fish fingers, and well, the Airfryer really makes just about anything. 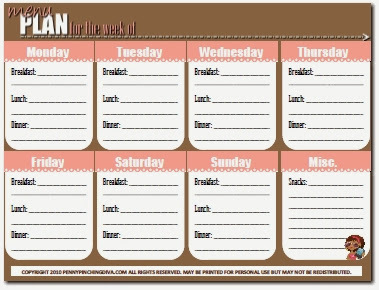 Plan your meals in advance and stick to it. That way you’ll be able to make the most of what you buy, and make every dime count. And having a grocery list would mean you wouldn’t waste time at the supermarket/ wet market thinking as you’re buying. You don’t need a fancy app or programme. Just a piece of paper or a whiteboard will do. Our grandmas didn’t have apps in the past to put meals on the table for us. We can do it too. But just in case you really like something pretty to get you going, this dinosaur would like to recommend this free downloadable meal planner which I’ve found. If your baby is starting on semi-solids, don’t feel that it’s necessary to start with cereal. You can start with fruits and veggies. And if you’re clueless about cooking porridge for baby, you can read my guide to cooking porridge for babies. If you have a young baby, the best way to feed him/her is to breastfeed because it’s so convenient and you can catch up on rest while baby feeds (in the lying down position) without having to get up to make milk. Of course, I know it’s not so easy to breastfeed (you can read more about my difficult breastfeeding journey – P.S. 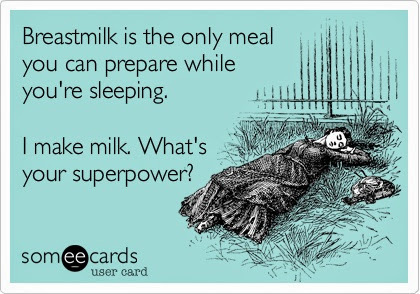 I’m still breastfeeding!). That’s the end of my first instalment of my SAHM survival guide. Be sure to check back the next few weeks to catch the entire guide. I’ll publish an instalment each week! Read my SAHM survival guide Part 3 where I share how I fit teaching/ playing with my kids in my schedule. P.S. If you love reading tips, I’ve got a previous series – Tips for Moms, by Moms written by yeah, you guessed it, MOMS. 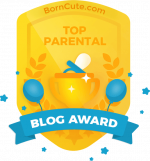 This entry was posted in Parenting, Tips for Moms. Bookmark the permalink. Wow! Impressive Meal directory you have here! Am gonna try them. : ) Great effort here! Thanks Angelia!! Looking forward to reading your post! Thanks Summer!! I used to spend a lot on each meal due to poor planning so I decided that it had to stop!! Anyway, over the years I’ve quite a few tricks up my sleeve – that’s how writing one post ended up as a series!! Haha.. Thanks for hopping by!